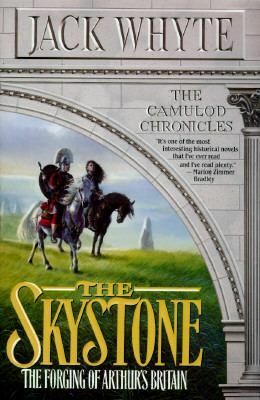 I wrote a post some time ago about what had happened to “The Skystone” because several readers had written to me saying they couldn’t find copies to buy, and some people had even heard that the book was out of print. That last part galvanized me, I admit, because if the book had gone out of print, then it had done so without anyone at Penguin Books having thought to contact me in order to inform me that after twenty-odd printings and twenty-plus years of constant availability, it had eventually been deemed to be irrelevant and defunct. I seriously doubted that such a thing might have happened, and I was right. My editor at that time assured me that the book was simply “between print runs” and would become available again in the near future, and at that time I wrote a Blog entry entitled “It’s about The Skystone”. Since then, though, my beloved editor, Adrienne Kerr, abandoned me, leaving the Penguin organization to get married to the guy she’d spent a lifetime looking for, and to hang out her own shingle as a freelance professional editor. And after her departure there came a long silence that lasted until I phoned the PenguinRandomHouse headquarters in Ontario and spoke with the Associate Publisher, who promised to get back to me the following day. In the event it was Brad Martin himself, the President and CEO of Penguin Random House, who phoned me back from the very apex of the mountain, and the last of my concerns evaporated as he laid out, chapter and verse, what would be happening henceforth not only with The Skystone, but with all future editions of my other novels. Henceforth, he told me, my books will be reprinted only in Trade Paperback editions as they become due for renewal. The only information I lack now is the exact, specific date when The Skystone will again become available in Canada, but he assured me that it will be very soon, and readers may rest assured that I’ll publish the information here as soon as I have it. Good to hear that it will become available here again. Sad to hear that it will only be in trade paperback…I do love my hard cover books with actual dust jackets, if I had unlimited funds I would have them all leather bound. I guess I should purchase a lottery ticket for that to happen. 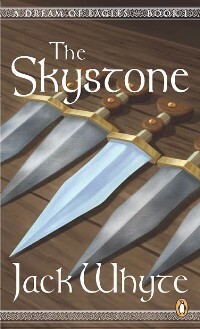 Do you have a favourite ‘Skystone’ cover. The original Canadian, the USA cover or the UK cover? They are all so different. Were you aware that there has never been a hardcover edition of any of the original novels in Canada? The only English language hardcover editions of the original series were published in the USA, by Forge Books. The Canadian originals came out in Trade Paperback format from the very beginning because I was an unknown, unproved author, and when the Penguin gurus decided they would publish Book 4, The Saxon Shore, in hardcover, they were shouted down by their national sales staff because many of their hard-core customers were already collecting the set and would not have liked the mid-series change of format. And I hated the mickey mouse artwork on the American “Skystone” hardcover so much that I wrote to the publisher in person, asking him if he could arrange, next time around, to find an Illustrator who could draw… The artwork on that dustjacket still ranks in my mind as the ugliest I have ever seen. 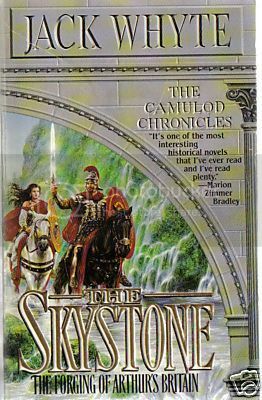 And mu favourite “Skystone” cover is the original Canadian one, showing Varrus, Britannicus and Luceiia carved in bas-relief on a marble slab. I don’t think we’ll ever go back to that one, though. Jack … if you’re speaking of the US hardback with the artwork by Luis Royo … that’s not exactly representative of what he’s capable of as an artist. I love Royo’s other work, but that artwork is way below par, as an example of his work. I do own that hardback though. You even signed it for me. John Howe, as it turns out, is one of two lifelong Tolkien illustrators who worked on all 6 of the Peter Jackson films (Lord of the Rings, and The Hobbit) as storyboards, concept art, and sculpturing for all the design aspects of those films. The other is Alan Lee. Howe’s stuff can be quite good, so I’m unsure why the Skystone cover ended up so bad (and I agree it’s bad)..but I’d have to say the blame must lie entirely with Stinson? Also, I thankfully have all the Canadian Viking trade paperback, deckle-edge versions of the entire series…it took me years to collect them all (The Singing Sword was the hardest to find…the day I found it at a used book store for like $4 I was SO EXCITED! ), but I have them! Neither of these are quite up to his more well known artwork though, as you can see. 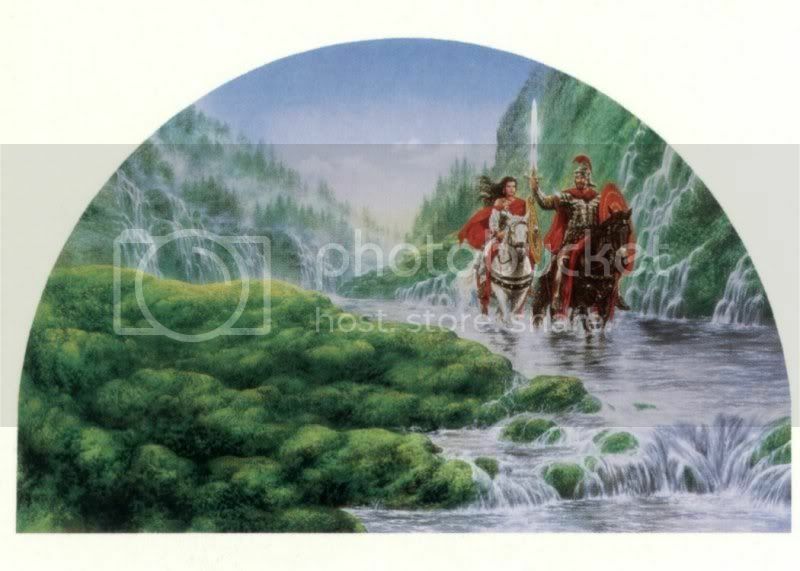 But it is par for the course when it comes to some of the artwork he’s done for some Fantasy novel covers. Lordy, Lordy, Cathy… As soon as I saw that “Singing Sword” cover I remembered it, but it appeared in 2008 (if it appeared in published form at all,) and I haven’t seen it since. I don’t have a copy of it on my shelves and so I can’t remember if it was actually published in that format for the mass paperback edition, though it must have been, since I recognized it. I know for a fact that the original hardback illustration was a joke–a 20th Century depiction of a ruined 12th Century castle, for a story set in the 4th Century–and I seem to remember that the paperback came out with the Royo cover, so in all likelihood that’s what happened… Forge/Tor made all the artwork decisions in those days and I never got to see anything until it was actually published. (That has not changed, incidentally.) Given any input or say in the matter, I would never have approved either of the first two hardcover illustrations, or even the third one, for “The Eagles’ Brood”, which featured a 19th Century German Hapsburg Eagle, embossed in gold on black, on the front cover. Historical accuracy was never one of Forge/Tor’s governing criteria. It was only after the success of the first three novels that any serious attention was given by the publisher to the design and promotion of my novels through good and thematic illustration, though I have to say that since then, from publication of “The Saxon Shore” with its Celtic scrollwork motif and greatly improved artwork, I have had no complaints. 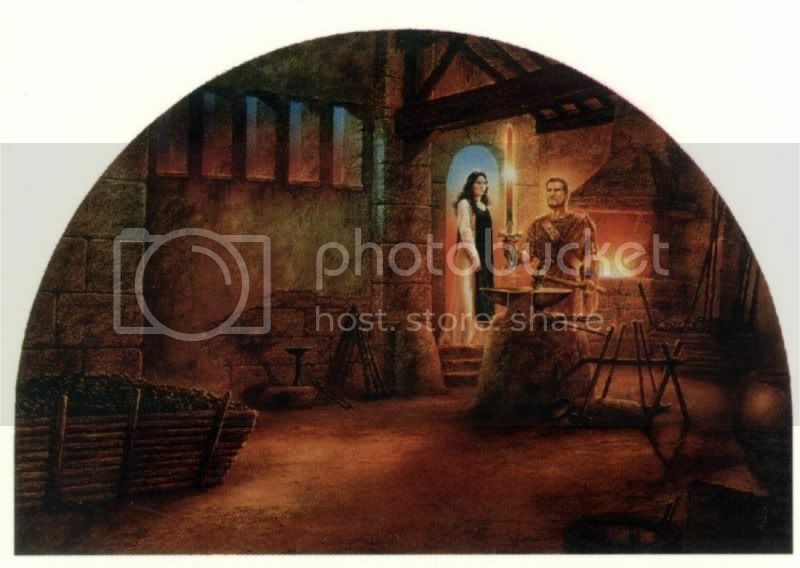 I’ve never seen a picture of a copy of “The Singing Sword” with that particular picture. Are you sure you didn’t see the Royo artwork at some point in the past? 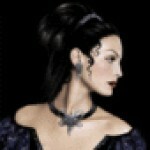 I know I’ve posted that artwork here in a previous inception of the forum. All this talk of Royo and book covers reminded me that I’d never picked up a copy of a book George R.R. Martin wrote for the 9-12 year old market called “The Ice Dragon”, that was illustrated by Luis Royo. Went to Chapters today, and bought their last copy of it. There’s beautiful artwork throughout the book. 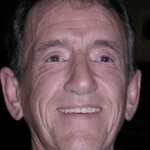 Jack, I’m afraid it’s possible that I am partially responsible for the current lack of availability for “The Skystone”. I’ve bought multiple copies because every time I lend mine out it never seems to find its way back home.